He was the man who got Calamity Jane to church. Dr. Charles B. Clark preached the sermon at the funeral of Martha Jane Canary, also known as Martha Jane Burke or Calamity Jane, at the Deadwood Methodist Church on Aug. 4, 1903. Calamity Jane had died at nearby Terry on Aug. 1. The minister’s son and namesake, poet Charles Badger Clark, often lamented that his father was the person to preside over Calamity Jane’s funeral. “My father’s deeds of mercy are unnumbered, but such is the irony of human nature, he’ll be remembered longest, because he buried Calamity Jane,” Badger Clark was quoted as saying in articles by Helen F. Morganti. The elder Clark did, indeed, do much more than bury the notorious woman of the West. In his 57 years as a minister, the Rev. C.B. Clark built four churches and took more than 2,000 people into the church, most of them being converts under his preaching. “The primary job of a preacher in those days was to preach and Dr. Clark could preach. His sermons were to the point and well thought out,” wrote Morganti. The Rev. C.B. Clark also possessed a mellow bass voice, a fluent command of English and a sunny temperament. Clark was born around 1840 in Sauquoit, N.Y. The family moved west in 1857, finally settling at Mount Pleasant, Iowa. He attended Iowa Wesleyan University, leaving to enlist in the 25th Iowa Infantry in 1862, fighting for the Union Army in the American Civil War. The private received a shell wound to his head at the battle of Arkansas Post in 1863 and was discharged from the service. His injury resulted in the total loss of hearing in his right ear. He returned to Iowa, resumed his studies, was ordained as a Methodist minister and became a circuit-riding minister in Iowa. 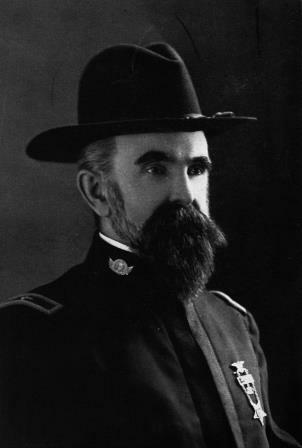 A patriotic man, Clark was active in the Grand Army of the Republic, serving as president of the South Dakota department of that organization for a year. The work and outdoor life restored Clark’s strength, and he developed into an able and popular preacher, occupying some of the best pulpits in the Iowa conference. The family moved to Dakota Territory in 1883 and homesteaded four miles south of Plankinton. The minister’s health improved and he returned to his first love of preaching. He was appointed to the Methodist pastorate at Mitchell. He later became district superintendent at Mitchell and pastor at Huron. He was one of the original promoters of Dakota Wesleyan University, which conferred upon him an honorary doctor of divinity degree in 1892. Clark accepted a transfer to Deadwood in 1898, as the health of his wife, Mary Ellen, was declining due to tuberculosis and he thought the change in altitude would benefit her. However, his wife died that October. Clark married Rachel Anna Morris three years later. He closed his active ministry as chaplain at Battle Mountain Sanitarium in Hot Springs. He died in Hot Springs on June 10, 1921, and was buried in Graceland Cemetery in Mitchell.